Did you know about 60% of teenagers who use prescription drugs often get them free? Teen addictions are a growing epidemic in our society. But how can we help our young population when we don’t know the early warning signs of addiction. As a parent, you know your children more than anyone. So you have a gut feeling when something is not right. 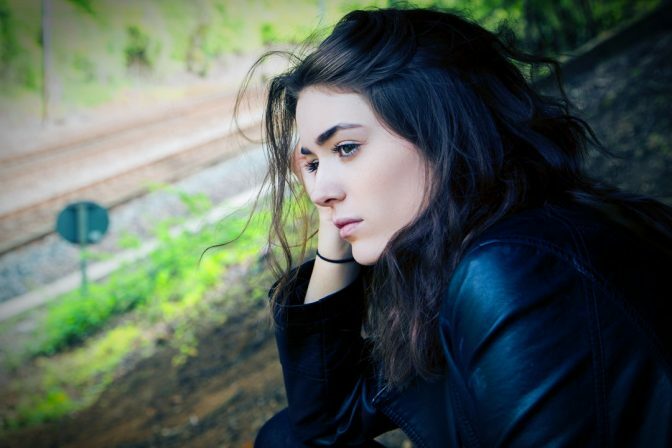 In this article, we’ll walk you through 10 early warning signs of drug addiction. If your teenager used to be a great student and suddenly their grades start to go down, then it’s always a sign of concern. And although there could be lots of explanations why your teenager is performing poorly in school, drug abuse is a legitimate explanation. As parents, you have a sixth sense when something is wrong with your children. When teenagers start abusing drugs and getting high, the last thing on their mind is to study for a test or turn in their homework. Therefore, if you notice a sudden drop in school performance is best to get to the source right away. Because teenagers always care about what their peers might think of them, they tend to put some effort into looking decent and presentable. Of course, there are some exceptions. A sign a teenager is abusing drugs is a change in appearance. Pay attention if your child has all of the sudden they stop caring about what he looks like. Are they going to school with dirty clothes? Have they stopped caring about their personal hygiene? A drastic change of appearance for the worst could be a sign of a bigger problem. When teenagers start abusing drugs, they tend to hang out around peers who do as well. And if their usual friends don’t want to participate in such activities, they’ll find friends who will. It’s a pretty significant warning sign a teenager is abusing drugs if all of the sudden they stop frequenting longtime friends. Of course, there could be other causes and you should try to ask before assuming. Also, pay attention and try to get to know who those new friends are before arriving at a conclusion. The teenage years are a time of confusion and one can expect teenagers to have mood swings from time to time. However, you should pay attention if their attitude change goes beyond a few mood swings. Have you noticed they’re more irritable than ever? Do they treat their siblings different? Do they get upset over things that didn’t bother them before? Do they get defensive when you ask questions? Noticing a big change in attitude is a sign of concern. Like everyone, teenagers have activities and hobbies they enjoy doing. If you notice your teenager no longer participates in their regular activities, you should keep an eye out. They might have gotten tired or outgrown the activity, but they might replace it with something else. When they don’t replace a hobby with another activity, you should investigate, especially when they only hang out. It’s not a good sign when their dream was to go pro playing a sport and suddenly they stop caring. Because they’re going through many physical changes, teenagers should be getting about 9 to 9.5 hours of sleep. Of course, the average teenager only gets about 7 hours of sleep. Drugs, especially prescription drugs, can throw off their entire sleep schedule. Some drugs might keep a teen up for days at a time, while others can make them sleep for over 12 hours. While an abnormal sleeping schedule can happen every once in a while, pay attention when you notice extreme changes. Teenagers don’t have the income to buy street drugs most of the time. They tend to look around the medicine cabinet if they really want to get high. Pay attention to the medication in your medicine cabinet. Are you refilling your prescriptions sooner than you have to? It’s not a bad idea to keep an inventory of all the prescription medications you have around the house. You should also dispose of any medications you no longer need safely. Everyone is allowed to keep some things private, but when your teenager is keeping more secrets than they used to, it might raise red flags. This depends on the relationship you had with your teenager. If your teenager used to share a lot with you, it’s a sign for concern when they suddenly start becoming isolated. For example, did they use to keep their bedroom door open and then suddenly start closing it? Have you noticed they get defensive when you touch their phone? Do they keep warning you to respect their privacy? When you notice a drastic increase in secrecy, you should try to address the issue. At their age, teenagers don’t have a lot of expenses. A typical teenager spends money on clothes or to go out to the movies, etc. Drug habits can get quite expensive, so it might not come as a surprise your teenager will start asking for more money. Another sign your teenager might be using drugs is if money starts going missing from your wallet. If they can’t get money from you, they will resort to stealing valuables from you or family members. When teenagers get high, they might not have control of their motor skills. This can cause them to fall and get bruises they cannot explain. Pay attention if you see your teenager starts to come home with bruises or lacerations they cannot explain. Also, prescription drugs might cause significant changes to their appetite which can lead to significant weight loss. Pay attention to how their weight fluctuates and get to the source of what’s causing it. Spotting the early signs of teen addictions is important so they can get the help they need before is too late. Pay attention if you notice they change their sleep habits, change their appearance or their attitude. If someone in your family is struggling with drug addiction and you would like more information, check out our drug rehab section. Or call us now at 650-731-7052.